Invest in Mactan's most prestigious residential estate - White Sands, Lot Properties Cebu with free beach resort, providing your family with not only a home but also a luxurious lifestyle. 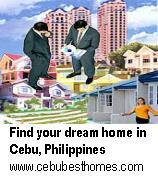 Invest in Cebu Real Estate by owning a home with access to Cebu Beach or Cebu Beach Resort..... Cebu White Sands. Imagine your dream home with Cebu Beach Resort attached for FREE including maintenance. When you purchase a residential lot in Cebu White Sands, we will enroll you in our RESORTS AWARDS PLUS Program making you a valued client of the resort. This will entitle you to FREE entrance to White Sands Resort, FREE use of the beach and pool facilities all year round, 30% discount on room rates, 10% discount on food and beverage, 10% discount on Aqua sports facilities, PLUS free access to our privately owned island "islas tres rosas"
All lot owners of the White Sands Villas automatically become lifetime members of the resort handed down from generation to generation at Cebu White Sands, Maribago, Mactan Island, Cebu, Philippines, a short walking distance from your home. If your vision of a dream home includes blue ocean waters and a white sand beach, consider life at WHITE SANDS, a Philippine beach front property for sale. Here, you'll find a community with all the amenities of a first class resort as well as easy going neighbors you'll be glad to call friends. In search of beach lot for sale Philippines ? or beach lots for sale in Cebu ? 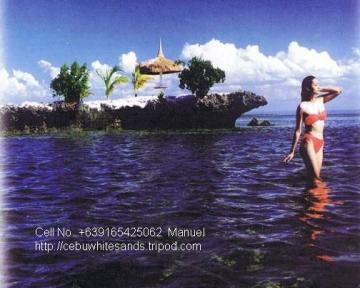 You'll be glad you're in one of the beach front properties ...CEBU WHITE SANDS.